From shore to snow. The more the inclination of the train tracks, the more the train sharpens its teeth. And when the ascent begins, the Odontotos shows its strength, climbing up the mountain side with an inclination of 17,5 %, swallowing kilometers. 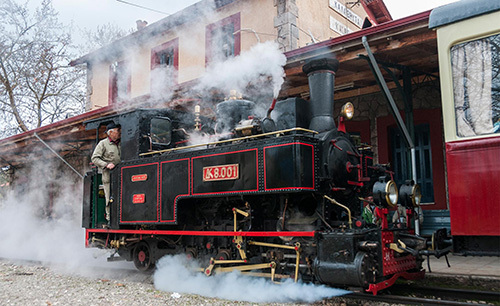 Since 1896, the train covers a journey of 22.350 meters in length and 750 meters altitude, travelling from the seaside of Diakopto area to the snowy mountainous village of Kalavryta, on a gauge just 75 centimeters wide, marking the narrowest rack railway in the world. More than 120 years, and still young! 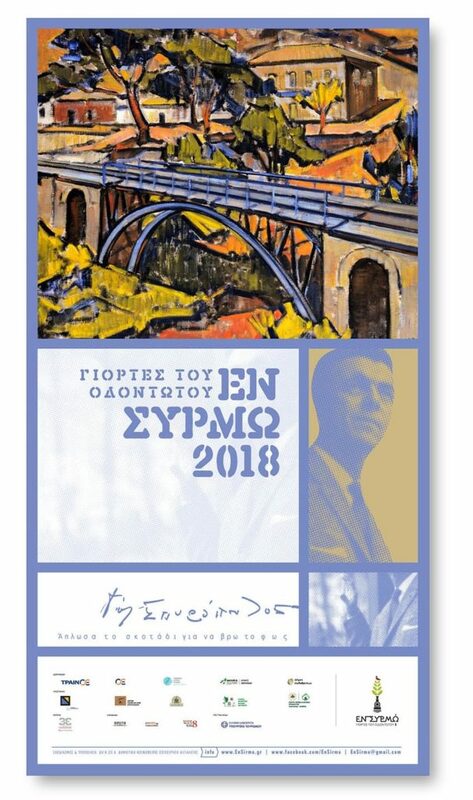 The construction of the railway started in 1889 by the government of Charilaos Trikoupis, prime minister of Greece at the time, as part of his vision for a railway junction between Diacopto and Tripoli. Unfortunately the difficulties were huge as the money wasn’t enough to cover the expenses. The train tracks reached only Kalavryta. The first scheduled journey of Odontotos in the gorge was in 1896 having King George the 1st as its first passenger. 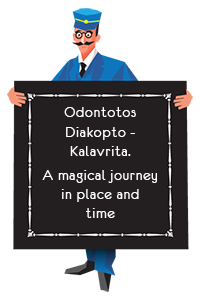 Odontotos was mainly used as a mean of transport for people, merchandise and often as a channel of hope and escape. 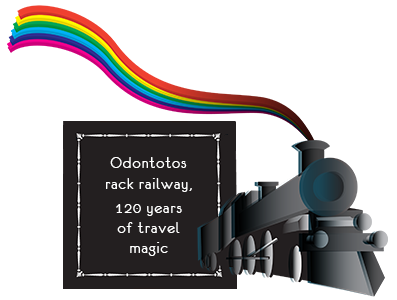 The Odontotos rack railway, famous and renewed, operates currently as a touristic attraction for a dreamy passage through the gorge. Three generations, three seasons. The first generation of trains were steam engines, widely known as Mountzouris, where launched in 1891 with four French steam locomotive engines “A. ES. CAIL”, using saturated steam, followed in 1952 by a German engine and another Greek one (SPAP) in 1954. The second generation of trains were diesel engines which included three French BILLARD engines in 1959 and three more DECAUVILLE in 1967, which extremely reduced the journey’s time from two and a half hours to 85’ minutes. In 2003 a major renovation of the network and the infrastructure, took place suggesting a new modern era of advanced technology and security with the introduction of the Swiss STADLER railcars, offering 67’ minutes of travelling magic. Diakopto is the starting point of our journey, the cheerful home of Dionysis Papagiannopoulos, a beautiful town in the Aigialeia Municipality with an impressive mating between sea and mountain. A serene city with a mild climate, surrends to the sea breeze and the scents of citrus trees. Starting point of the Odontotos as also many trips to the other parts of the Aigialeia region full of unexpected experiences of nature, culture, tradition, history, products, taste and enjoyment (Aliki, Tsivlou lake, Trapeza, Zarouchla, Fteri, Lakka, Taxiarches, Tripiti, Agia Triada, the ancient theater in Aigeira, Plataniotisa, museums, wine roads, the tree of Pausanias, Oinoxeneia festival). The Vouraikos gorge is our route. Its many attributes, creates a spectacular narrative: The beautiful gorge of Vouraikos (Area of Outstanding Natural Beauty), with a protected and particularly valuable flora and fauna (Natura 2000 areas), part of the National Park of Helmos-Vouraikos, part of Geopark Helmos-Vouraikos (recently integrated into the European list and the Unesco Geopark international directory), part of the production areas of the finest products PDO Vostitsa raisin and PDO Roditis wine, ascends from the distant past (1896) the unique Odontotos train in parallel with the European Path E4 (major hiking paths), offering a double crossing adventurous experience, either on foot or by the rail. Kalavryta is the end of the journey, the mountainous historical center of the region. Proud as it was the headquarters of Frankish barony, headquarters of Byzantine Despotato, starting point of the uprising (1770) and national revolution (1821 Agia Lavra) but also mourns when slaughtered and burned by German troops in the holocaust of December ’43. A martyrs village, but its beauty never dies, lying there all the seasons of the year, creating a top tourist choice along with the other attractions of the Kalavryta Municipality (Agia Lavra, Mega Spilaion, Ski center, Planitero, Kertezi, Lakes Cave, Pausanias vine, Ladonas, Leontio, Ancient Loussoi, Kleitor and Psofida). 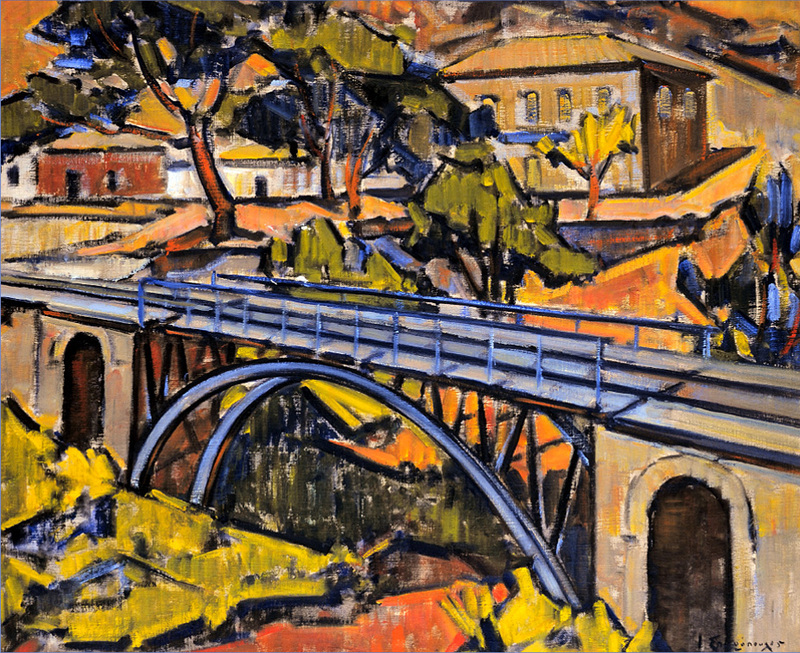 Artists find inspiration by the route Diakopto – Kalavrita and the Vouraikos canyon, where nature is art and history unfolds, where technology does miracles and the soul is at peace. The place, where Giannis Spiropoulos, a “classic of the abstract”, produced his first paintings, and Dionisis Papagiannopoulos, “the prince of theater and cinema”, debuted at the school-theater. This is Vouraikos canyon, the place where contemporary artists find their inspiration. Is it the sound of the canyon? Is it the train whistle? 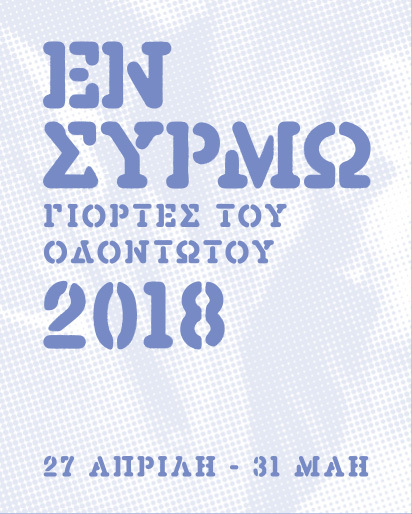 Thus, we celebrate the inspiring canyon with wonderful events for the train, for the environment and for the art, on May 2018 at Vouraikos with Odontotos. Enjoy a daily walk at Vouraikos with Odontotos. Choose the days which serve you best and check the train schedule with the special ticket prices. 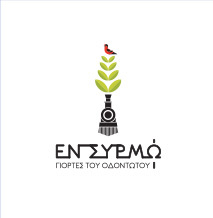 Communicate with the organization body for the Environmental briefing at Kalavryta, the visit at the Museum, the information on Odontotos at Diakopto and the meeting for the artistic exhibition at Diakopto and Kalavrita. 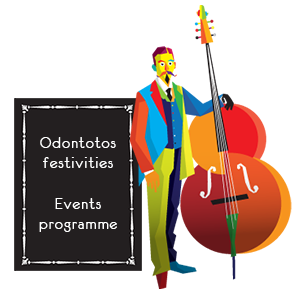 Offer by ΤRΑΙΝΟSΕ for May 2017: Odontotos special ticket prices for students. a) For Tuesdays 9, 23 and 30 May and Wednesdays 4, 11 and 25 May, for a single trip from Diakopto to Kalavrita with the train number 1330 (departure time 08: 45) and number 1336 (departure time 14:30), student groups of 6 persons and above: will be charged 3,60 euros. b) For all the event days, from 13 to 21 May and for 27 and 28 May, all trains of the line Diakopto – Kalavrita – Diakopto, student groups of 6 persons and above: will be charged 3.60 euros for a single trip and 20 euros for a return ticket. 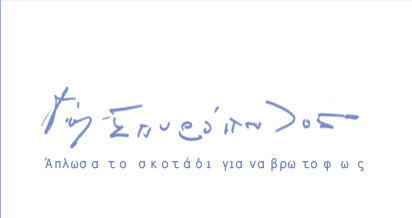 Offer by ΤRΑΙΝΟSΕ for May 2017: Odontotos special ticket prices for other groups. a) For Tuesdays 9, 23 and 30 May and Wednesdays 4, 11 and 25 May, for a single trip from Diakopto to Kalavrita with the train number 1330 (departure time 08: 45) and number 1336 (departure time 14:30), visiting groups of 6 persons and above: have a 30% discount to the overall cost of the journey. b) For all the event days, from 13 to 21 May and for 27 and 28 May, all trains of the line Diakopto – Kalavrita – Diakopto, visiting groups of 6 persons and above: have a 30% discount to the overall cost of the journey. a) «The history of Odontotos». b) «The Canyon Chelmos-Vouraikos and the biodiversity of the geological park». All presentation are free of charge. DI.Κ.EP. 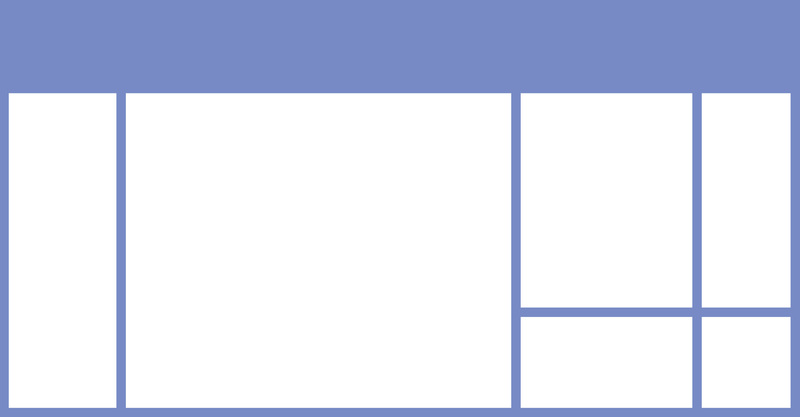 Aigialeias Tel: 26910.28210, 26910.68308, Monday-Friday 09:00-16:00.